The secretary at radio station WBN, Penny Henderson (Mary Stuart Masterson) is frantically trying to keep things in order as a broadcast goes on the air. 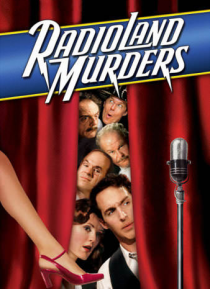 Chaos breaks loose, however, when a series of murders occurs in the building, accompanied by an enigmatic voice over the airwaves. Penny's writer husband, Roger (Brian Benben), tries to deduce who the killer is, but he also happens to be the prim… e suspect. As he evades the law, Roger gets closer to uncovering the identity of the murderer.